As many of you may have seen, on April Fool’s Day this year we released an ‘educational’ video all about SPAM… If you haven’t that video, it’s available here. We enjoy taking part in April Fools traditions each year and we thought that it would be a fun idea to would mix it up with a video this year! Whilst initial reception wasn’t quite what we were hoping for, we feel the majority of users were able to laugh along with our tongue-in-cheek antics. 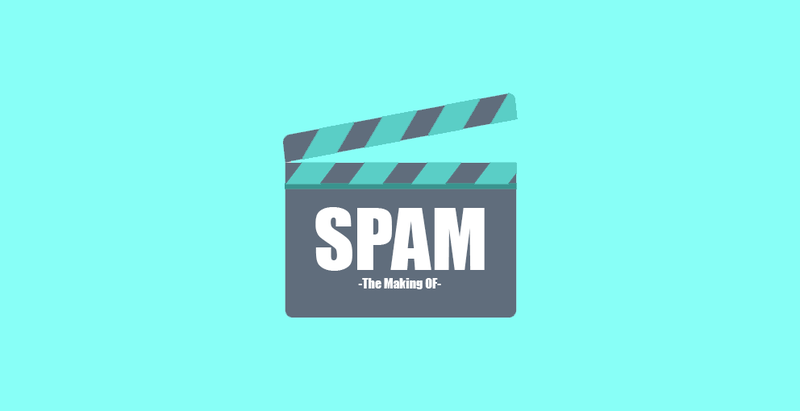 Before we give you a little background information on the video, we thought it would be a good idea to remind you to check out our recent blog post on The Different Types of Email Spam to actually help you identify and prevent email spam (unlike our video). Our very own Shorty and Maddison participated in the video, playing the part of our unbeknownst SPAM knowledge experts. Many of you will have seen Maddison, who leads our sales and marketing efforts, in other appearances such as the monthly 10th Birthday $100,000 CASH Giveaway winner reveal videos. Shorty is our Sales & Communications Team Leader though this isn’t his first appearance on the small screen, either. I think after seeing their acting skills in this video, everybody can agree that we’re not exactly worried about them being poached by any up-and-coming film producers any time soon..! For this video, we wanted to try a few new techniques that have yet to be introduced in any of our previous releases. To help produce multiple camera angles, we used 3 cameras including one dedicated video and 2 DSLR’s which were set up on tripods and began recording simultaneously. The audio was fed from a single source and the 3 videos were synched in editing software and layered to allow the seamless switch between each angle, as needed. As you can tell from our many promotions and social media posts, we love to get involved in any events whether it be for a charity fundraiser, a public holiday, or simply to have a little fun here at VentraIP Australia. April Fool’s Day is no exception, with our recent infamous ‘Power Down‘ scheme where we announced that we would be shutting down our data centre every night from 8pm – 8am in an effort to assist South Australia with their ongoing power issues but would be compensating our customers by offering a ridiculous discount on new signups… We may not have actually powered down our hardware but we kept our promise on the discounts! We hope you enjoyed the video and that it helped begin your week (and month) with a smile. Looking to stay in the loop with everything happening in the office? Be sure to like us on Facebook, follow us on Instagram, and tweet us on Twitter!